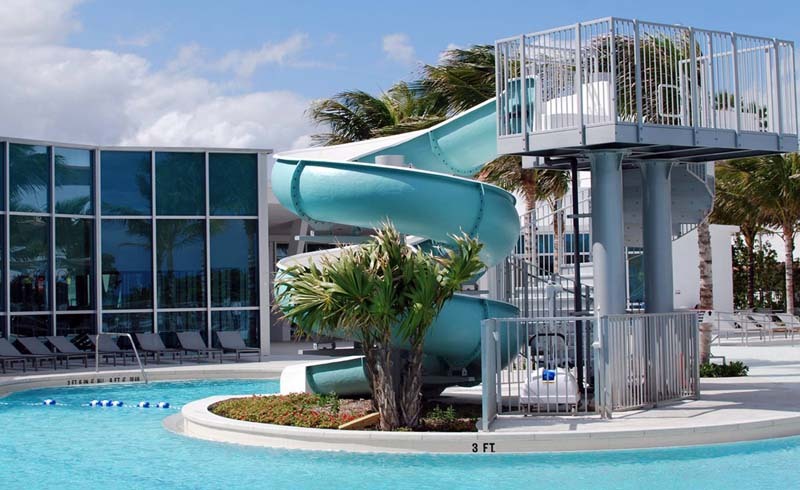 Far from the chaos of South Beach is an adorable town called Surfside. (It’s really only a half hour north, but shhh.) You’ll find about a mile of quiet beaches, luxury hotels and charming restaurants and shops. 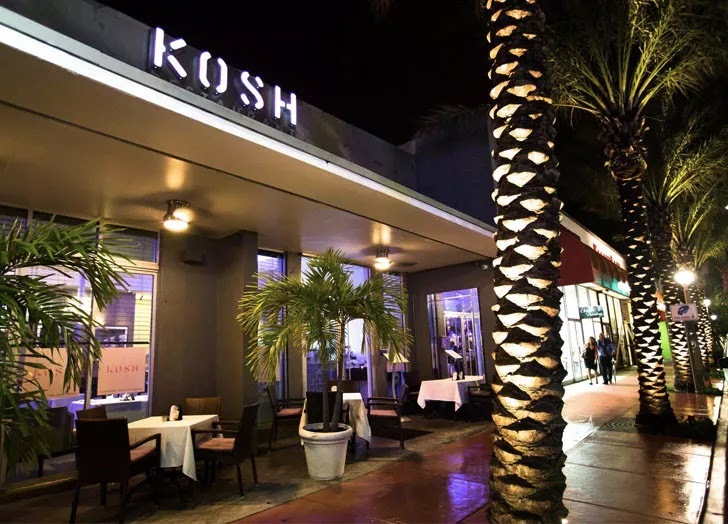 Here’s how to spend a perfect day in our favorite Miami Beach suburb. Lucky for us, much of Surfside can be easily conquered on foot. That means there’s no need to worry about parking (and the accompanying fees) when you visit. The most walkable part is a few blocks from the sand on Harding Avenue. Think of it as Surfside’s tiny downtown district, complete with shops, restaurants and bars. While you’re there, pop into Le Beau Maroc, known for its body oils and beachy caftans from Morocco. For such a tiny town, there are almost too many places to eat. But hey, we’re definitely not complaining. 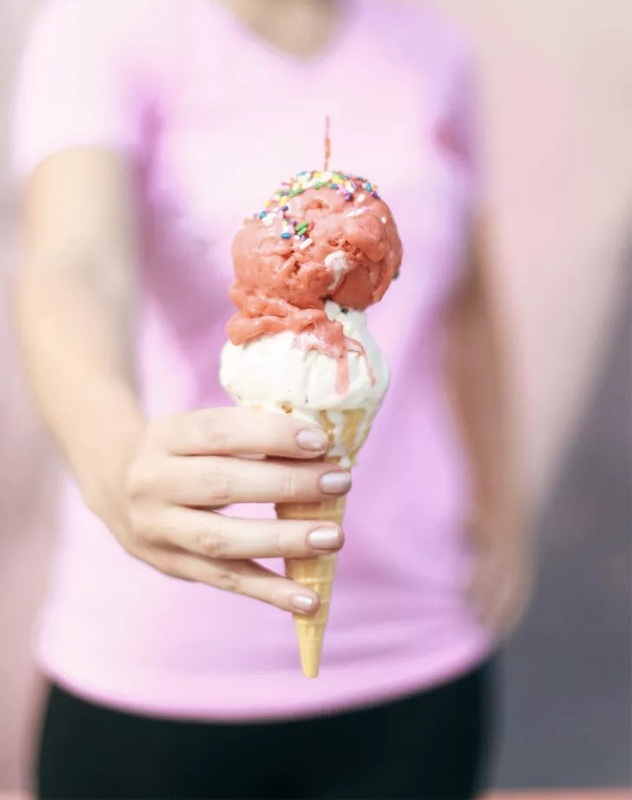 Josh’s Deli on Harding Avenue whips up modern interpretations of classic deli fare, like duck fat matzah balls and crunchy spicy tuna latkes, while Serendipity Creamery churns out unique flavors like Riesling sorbet. Stay for dinner at 26 Sushi & Tapas, a kosher-friendly Japanese and Peruvian mash-up restaurant with plates like veggie sliders on white corn arepas and the OMG Roll with tuna, avocado, and jalapeño. Beyond the beaches and restaurants, there’s quite a bit of art deco history in Surfside, which was incorporated in 1935. 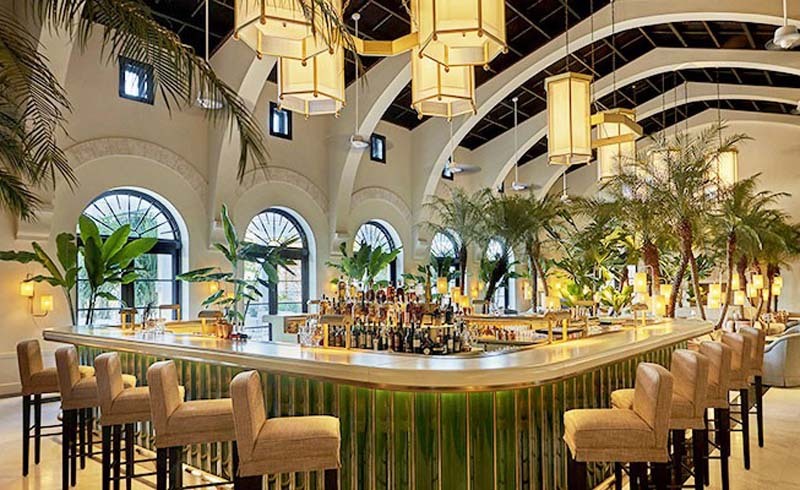 In the early ’30s, the Surf Club, one of the first luxury hotels to drop anchor in Miami, opened and quickly became the scene for indulgent parties with celebrity guests like Frank Sinatra, Winston Churchill and Elizabeth Taylor. 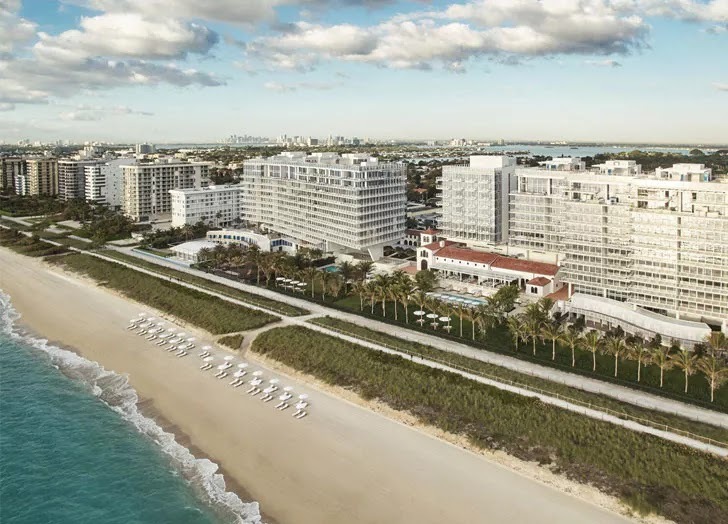 Within the past year, the property was brought back to life as the Four Seasons Hotel at the Surf Club. This is the place where you’ll want to indulge in a lavish spa treatment, dress up and dine at celebrity chef Thomas Keller’s Surf Club Restaurant or at least spend an hour wandering through the Mediterranean-inspired grounds. 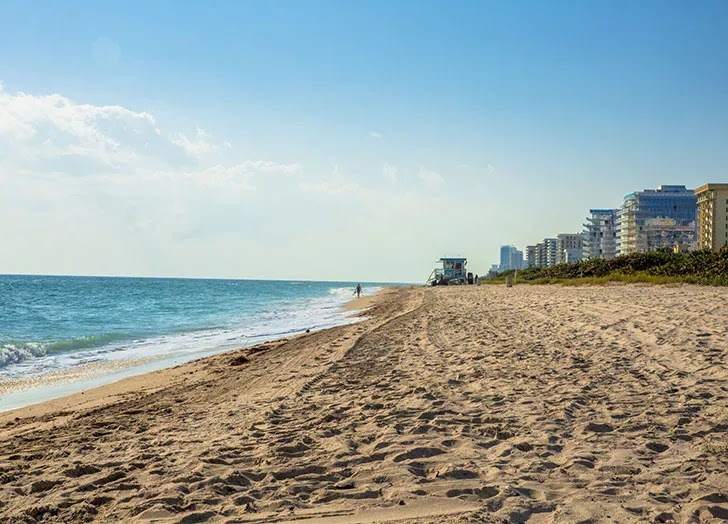 Unlike most stretches of sand in Miami, Surfside is relatively empty (especially compared to neighboring areas like South Beach and Haulover). Bring your beach essentials (towel, sunscreen, book) and spend a few hours here right before drinks at sunset. It wouldn’t be a Miami coastal town without at least one rooftop bar. 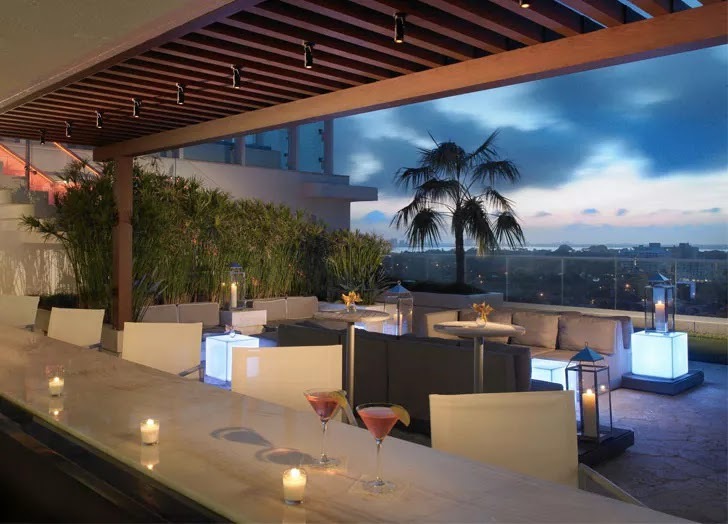 Atop the Grand Beach Hotel, order a mojito and take in spectacular views of the Miami skyline and surrounding waters. It’s the perfect place to hang during sunset, and most nights include a DJ and a lively crowd.